Thrift store finds are truly celebratory experiences, from an amazing brand name dress you thrifted for $10 new with the tags still on to grabbing your dream dining room table for a fraction of the price you were originally expecting to spend new. 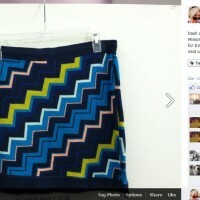 Saving money is cause for celebration enough, but what about finding and therefore gaining more money in a thrift store? It might sound crazy, but I’ve walked out of a thrift store with enough extra cash for at least an iced coffee after having found it in the most obvious of places — a woman’s purse. But purses and wallets aren’t the only places money gets left behind. Because people don’t always look through their possessions before donation, these previous owners can overlook loose change and bills that remain in the nooks, crannies and pockets of the clothing, furniture, luggage and books that they’re giving up. 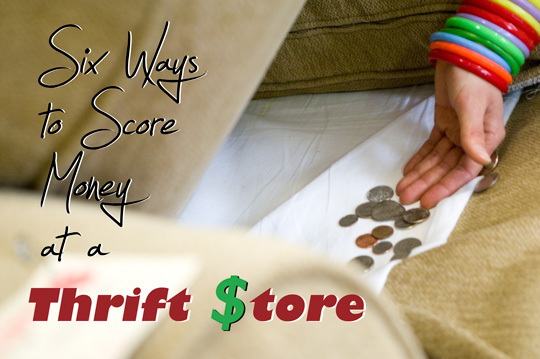 Follow these 6 ways to look for money at a thrift store, and you may end up leaving with more cash in your pocket than when you first entered! 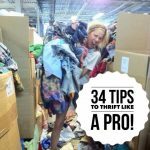 I was inspired to write this article on ways to look for money in a thrift store because if you already know how to thrift store shop, you’re looking for ideas on unique ways to tackle your shopping experience in an exciting and challenging way. A regular reader tipped me to his secrets of discovering dough in the depths of his favorite thrift, flea and yard sailing spots. 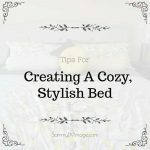 I’m sharing some of his secrets with you today along with a few of my own ideas, too. But that doesn’t mean the “buck” (pun intended!) stops here — I’d love to know your secrets to finding money in a thrift store! Share your stories with me in the comments below the post, or by saying hello on Twitter, Facebook or Instagram! WHERE TO LOOK: Poke your head under desks for envelopes of money literally taped onto its bottom. Also open all desk, vanity and dresser drawers for money stowed away by the previous owner. HIDDEN LOGIC: When you don’t have a safe to lock away cash before it goes into the bank, you have to create the next best thing. Keeping money in a desk drawer or taping it for “safe-keeping” under a desk are some of the alternative methods of holding money. Especially when a person is sharing living quarters with a roommate they may not trust, keeping their cash away from the visible eye becomes all too-important and if they have a tip-based job, even more so. STRANGE BUT TRUE: It feels like a Depression-era stereotype, but elderly individuals tend to hide their money at home because they trust their own securities more than a bank’s. Plus, with less time spent running errands, an older person may feel safer with a small nest nearby in case of an emergency. Since furniture from an older individual’s home often is donated to a thrift store once they move into an assisted living facility or pass away, the chances that you’re going to find money taped under a desk or tucked away in a drawer are more probable than you think! 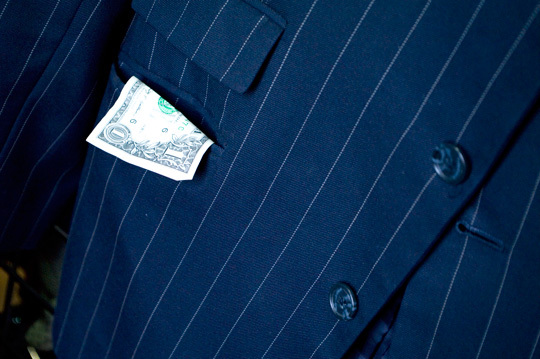 WHERE TO LOOK: Finger through the front chest and bottom pockets of men’s blazers for loose change or dollar bills. 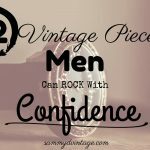 If shopping the fall/winter seasons, look through the pockets of men’s outerwear as well. HIDDEN LOGIC: Since men don’t carry purses like women, they’re more likely to slip money into their pockets than they are back into a proper wallet, since wallets create bulges in a man’s dress pants and is unattractive for the workplace. So if a man is working 5 days a week at a corporate job, he’s less likely to be carrying a wallet and more likely to be rotating through blazers and forgetting that he has a few bucks lingering in the pockets of each. Unless he were to do a sweep of all blazers pre-donation, chances are that some of his greenbacks remain tucked away in the pockets of those navy pinstripe jackets! WOMEN’S SUITING: Because modern women’s suiting is hardly ever designed with pockets, you’re less likely for even the opportunity to find a few dollars tucked away in that Ann Taylor blazer. Plus, women are diligent about keeping cash in their wallet. It’s more worth your time to skip the women’s blazers and look through the purse section instead. 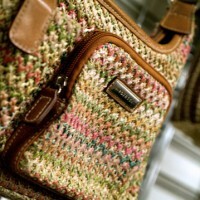 WHERE TO LOOK: Open all luggage bags and unzip, unbuckle, unlatch, unfasten — you name it! — the various compartments of said luggage in search of loose dollars and change from tropical getaways or European adventures. 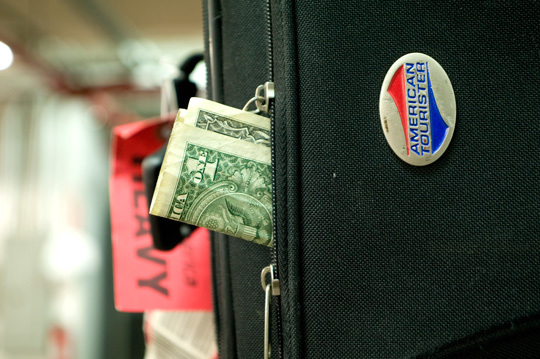 HIDDEN LOGIC: People throw money — American and foreign — into the many compartments of their luggage because the traveling experience is so rushed and frantic that keeping track of financials becomes a lesser priority. When traveling, people need money for tips, cab fare, snack food and airplane drinks. So most travelers visit their personal bank’s ATM before departure for enough greenbacks to last their trip so as to avoid getting an ATM fee from a bank not their own. TIPS FOR YOU: Especially since not everyone uses a piece of luggage regularly, previous owners can completely forget that they stashed $10 away for tip money during that Caribbean getaway 5 years ago. Like purses, luggage is constructed with secret pockets and compartments that can be overlooked when a person is about to give it up for donation. WHERE TO LOOK: Lift the cushions of all couches, recliners and love seats for loose change fallen into its cracks from pockets and purses. 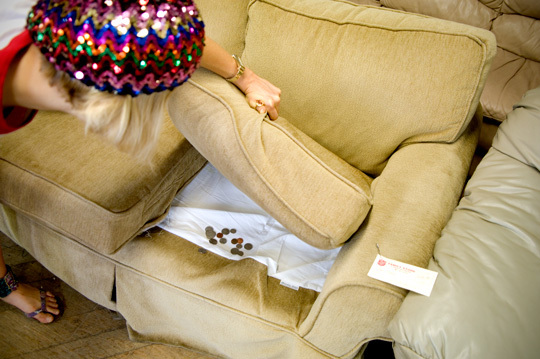 HIDDEN LOGIC: Probably the oldest rule in the book is to lift the cushions of a couch for loose change. While you’re not going to find a piggy bank broken open below, picking up a dollar in change here or there does truly add up. I like to think of a dollar gained as reason to give money to street performers in New York City or to leave a special tip for the woman behind the counter of my favorite coffee shop. Having the comfort and confidence to pass small bits of your wealth onto others is a sign that you will always be taken care of financially. FUNNY, BUT TRUE: A mentality I’d like to return to is the one I had as a child: That every penny counts! When I was between the ages of 7 and 10, my family made regular summer visits to Ocean City, Maryland. So every year beginning around June, I’d lift the cushions of all couches in my path in search of a penny here or a nickel there to drop into my piggy bank of beach funds. I’d pick up loose change in my own home or the homes of my friends! It was an innocent act of theft, but looking back at it now I was clearly priming myself then to become the power thrifter (and sneaky shopper) that I am today! WHERE TO LOOK: Open a book upside down and flip through its pages to see if any loose bills fall to the floor. HIDDEN LOGIC: Stowing money in between the pages of a book is an alternative method to the old tradition of hiding money underneath your mattress. Because emergencies happen, experts recommend to always have some cash on hand at home that’s stored in a safe place away from potential burglars, whether strangers or non-personal visitors such as repair technicians, painters, cleaning personnel and others hired for work around your home. 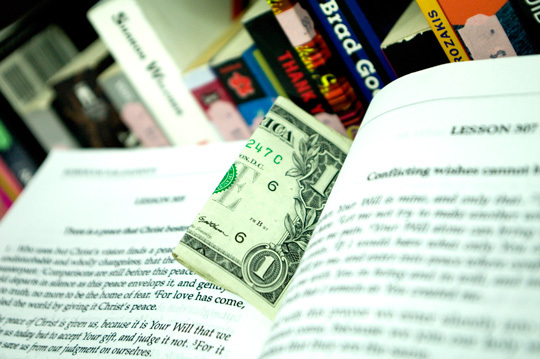 Hiding money in a book keeps the money flat so that at first glance on the bookshelf, you can’t tell that there’s more to that book than just fine words! HOLY FUNDS: Whether the reason is faith-driven or simply because it’s an easy location to remember, people who hide money in books tend to do so in a holy one such as the Bible. WHERE TO LOOK: Tuck your hand into every back (and front) pocket of a pair of jeans for crumpled, folded over bills. HIDDEN LOGIC: Jeans are constructed to keep money, business cards and car keys in a safe and secure place. So frequent jean wearers (especially men) are less likely to carry a wallet with them when they know that their Levi’s 501s will do the job of safeguarding their money well enough. 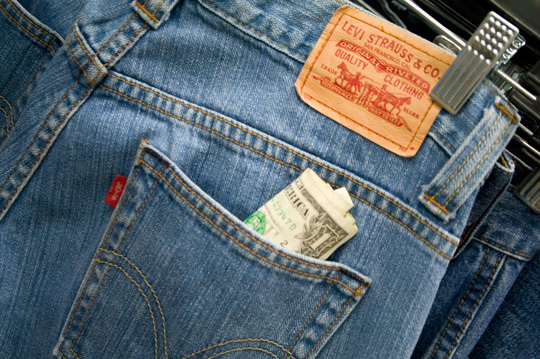 Work jeans (like Levi’s, Wranglers or Lees) are most likely to carry money in pockets because if worn on-the-job, they become a staple item of his wardrobe. When a guy is wearing denim 5 days a week, chances are he’s keeping everything in that back pocket, so don’t be surprised if you find a lighter or other interesting man items when searching for those greenbacks! WEAR & TEAR: Jean material is so durable that through a washing, it’ll protect the money from getting a serious soaking and disintegrating. So while that pair of thrift store jeans may look vintage or like it’s been through the grinder, don’t let that stop you from checking its back pockets for any cash that survived the ride of that denim’s lifetime! All photos for this article were taken at a Salvation Army Family Store in New York City. Great ideas! I’d feel a bit guilty not buying the actual item I found the money in, though. E I never thought of it like that. You bring up a GREAT point! Thank you for addressing this, because I think it’s a conversation for debate, for sure. Did you see the comments on the facebook page? One woman found two solid gold Buddha statues when she was yard sailing. She found them in a purse she purchased at one of the yard sales. She went back to all of them to ask if they had sold her the purse … no one claimed it! So she couldn’t give back the buddha statues! This idea is genius! But will I look like an idiot or a scavenger going through the mens section searching pockets in all the clothes?? I don’t care, I’m still going to do it! I am rather shocked at this post. You are basically telling people to steal. There is no need to “debate” the topic – it is wrong. If you can’t see that it is wrong, I would suggest you get your “moral compass” checked. Most of these stores are run by charity groups who need every dime they can get to provide services to poor families and disabled veterans. If you know there is $$ in an item, you turn the funds in to a store manager before you purchase and you certainly do not go around checking through merchandise for money that LAWFULLY isn’t yours. A thrift store could prosecute you for theft if you are caught doing this because it is called STEALING! Can your readers call you for bail money after following your advice? Theft isn’t thrifty shopping, it’s theft! And when the victim of the crime is a charity shop? Doubly deplorable. The idea is to donate to charity, not to steal from it! I’m shocked that this is being discussed as something that is acceptable to do, and that you are teaching and encouraging people to do it. As the 2 other comments from 7/4/13 mentioned, it’s theft no matter what cutesy name that you try to give it. How would you like someone to come into your house and find where you stash your money and take it? There’s no difference just because you’re doing it at a thrift shop. Those items are donated to benefit specific groups and charities, not you or your favorite coffee lady. Every penny does count, but it should count to the charity, not you. I don’t think shaming someone is a way to go. First, one can buy the item and discover it at home. Second, the money does not belong to the thrift shop. Third, it is like lost money that you cannot trace who it belongs to. It would be the same if you would find something valuable at garage sale and will have to report to the owner that you might be getting something valuable and he should charge you 100 times the price. You go to a thrift store to find a steal and not because you are doing charity. 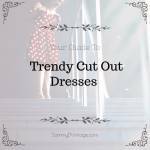 I personally would not do it but the money does not belong to the thrift stores either and many of them really overcharge and can be down right nasty like in some goodwill stores. They make pretty big profit for non-profit. WRONG! 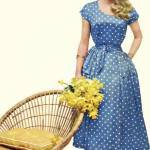 The thrift store owns the item containing the funds and therefore the money. Arguing that there is no way to trace the original owner of the money (and there may be with a little effort), does not give a shopper the right to take the money and walk out. The fact that some thrift stores are “nasty”, overcharge, or make big profits, is irrelevant – that’s classic criminal thinking – the same way dishonest people justify taking something because the owner “is insured” or because the large corporation or employer “can afford the loss” and so on. Stealing from a store is not at all the same as finding a good deal at a garage sale, as long as the buyer does not misrepresent the value of an item in negotiating a deal and completes the transaction. I am also surprised by a feature article that encourages stealing. I’m just as surprised that a reader would highlight a post expressing such ignorance. My favorite thrift store benefits the local hospital. The money they take in goes for meals for patients getting chemo, scholarships for nurses, special gifts for folks on dialysis, etc. If I found any money in any of my purchases I would make sure it went back to the thrift store. Salvation Army is a bigoted company that openly and actively discriminates against people who are gay. its not worth any time to defend them and talk down to someone about their “moral compass.” i’d rather openly talk about taking change from a thrift store then to discriminate like that. for how much money this lady has probably put into this charity, among other thrift stores that donate, I wouldn’t say it is so horrible to walk out with a couple of bucks if you happen to find it. Wow…lame oh yea such thievery…NOT..FINDERS KEEPERS..I BET IF YOU FOUND 100 BILL IN A PARKING LOT U WOULD GO TO THE NEAREST CLERK AND TURN IT IN …LMAO!!! For all you do gooders taking over the comments saying this is stealing, truly look into your charity work. I’m sure you’ll find the money you give is not being used for what it’s made for and in fact going into the owners pockets or other things entirely. Even the biggest charities have had major scams. I wouldn’t trust a single one.